Golden Home Inspection: Buying a Home? How to Hire an Independent Home Inspector for 2017? Buying a Home? How to Hire an Independent Home Inspector for 2017? The most important decisions that you make in your life involves buying a home. As a matter of fact, consider yourself privileged if you get an opportunity to buy a home even once in your lifetime. When this decision is so important, it is advisable that you buy a home for the worth of the amount you are ready to spend on it. This can be done by making sure that the home you are about to buy is in good condition. For this, you need a home inspection, which is a process where a thorough evaluation of the home in question is done by a professional expert. 1 Check the foundation, physical structure, mechanical systems, heating and cooling systems, electrical connections and equipment, etc. 2 Will evaluate which items need repairs or replacements. Brampton Home Inspector will also give you an estimate of remaining useful life of major parts of the house including the roof. You can accompany your home inspector while he goes for the home inspection so that you can ask him questions at the time of actual inspection taking place. Once the inspection is over and the Brampton inspector has taken notes of everything, you can expect to have a detailed report of the inspection within 24 hours. Remember this is a confidential document and the inspector is not allowed to show this report to anyone else except you, not even the agent. If you hire a Brampton inspector recommended by your agent, there are chances that the inspector will make a report that will not be totally honest. He may rush through the inspection and report generation to expedite the process; he may not mention certain facts which could lead to cancellation of the deal. This is not true for every inspector, but there is definitely some kind of pressure on an inspector if he is recommended by an agent. 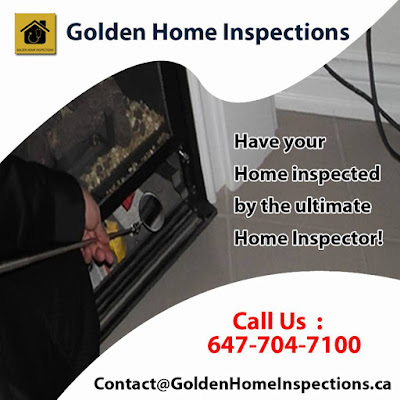 If you really want an unbiased and authentic home inspection report, which is prepared for your interest only then it is better to hire your own independent Brampton Home Inspector. You can find such inspectors by searching for them online, many home inspectors are canvassing themselves on the internet these days.